Highland Avenue will provide important pedestrian linkage from the west. 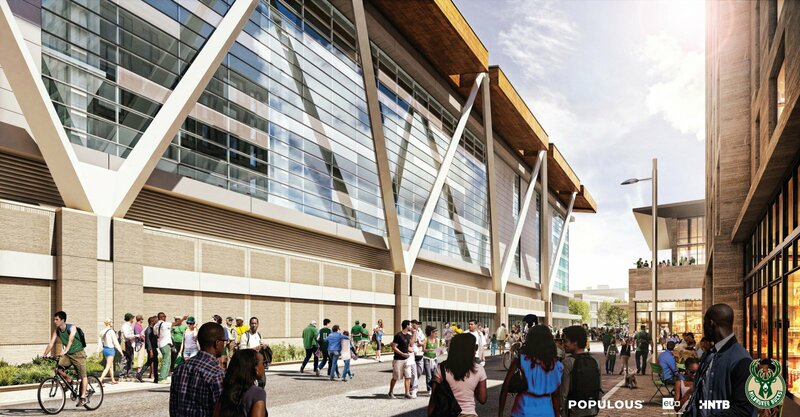 The arena design incorporates an articulated brick base which is punctuated by glazing for arena administrative offices, an employee entrance and the multi-story flagship Bucks Team Store that will anchor the corner of Fourth and Highland. The high roof structure is uniquely expressed as exposed Y-columns which sit in front of an expansive curtain wall that defines both public concourses and a premium level within. Patrons on these levels will enjoy dramatic city views to the south.